Outdoor sports are a popular way for many people in the country to enjoy some fresh air and get some exercise at the same time. There are plenty of high-energy fast-paced sports, but then there are also those sports that can be done at a more leisurely pace. 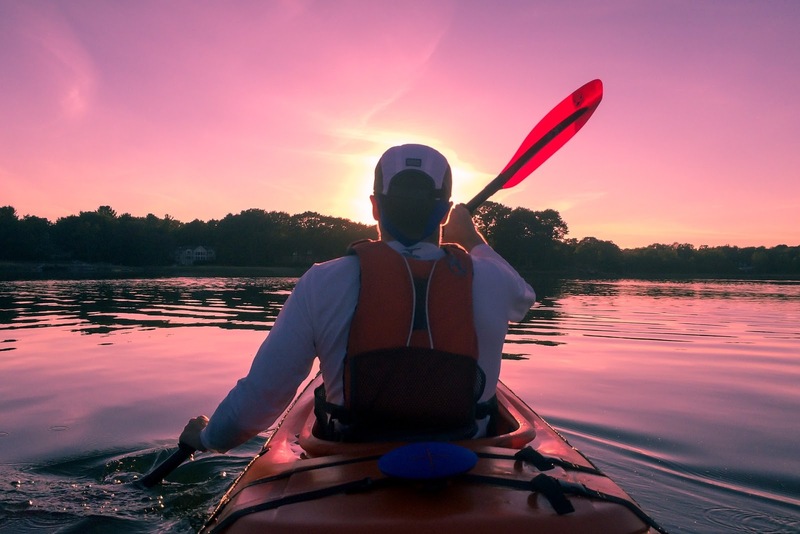 Kayaking is one that fits in the leisurely paced category and is a low-impact workout that people of various ages and fitness levels can benefit from. You’ll be able to get outdoors, enjoy the natural scenery around you, explore on a solo adventure or with friends, and really force yourself to slow down and just relax. If you’re looking to get into kayaking for the first time this year, there are some tips and advice that can help make the sport more enjoyable and easier to pick up. So, let’s jump right in. If you plan on buying your own kayak, then it's important to have an idea of what you need going into the process. As Justpaddleboard.com discusses, beginner kayaks are usually the best route as your first kayak. There are all kinds of styles and price ranges available on these beginner models, all with their own pros and cons. Ideally you want to be looking for something that is comfortable, since you may be in it for long periods of time, and one that emphasizes stability. Another tip when taking up kayaking is to look for a model that offers plenty of storage space. You need to be able to stow your gear in a way that it isn’t hindering you or your movements. Some models offer a lot more space than others. While an experienced kayaker may not give as much thought to waves and wind, as a beginner this is something you need to be very aware of. It's a good idea to stick to water that is protected so you aren't dealing with a lot of wind and waves. It's also wise to stick close to shore so that if you need to, you can swim there. Taking safety precautions can end up saving your life in an emergency situation, so it’s always best to be careful. This relates to the safety tip, and the fact that you can never be too safe out on the water. Even if you’re a good swimmer it’s still wise to wear a lifejacket. Carrying one with you in your kayak isn’t good enough, it needs to be on you in order to be effective. When you first start kayaking, it is obviously going to be a learning curve and is going to take a lot of focus and effort on your part but be sure to also stop and take in the scenery and really enjoy the moment. Remember why you took up kayaking in the first place and make sure that stays a priority. Kayaking is a wonderful way to get outside, get in some exercise, and take things at your own speed and pace.